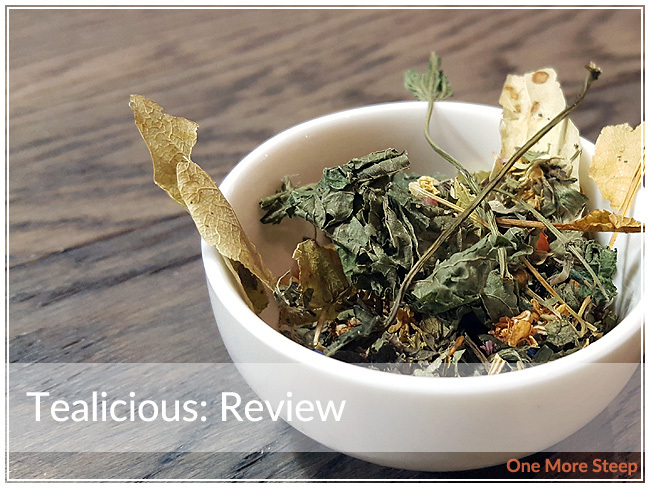 Bye Herbs has provided me with Tealicious for the purposes of providing an honest review. Tealicious is described as being a 100% organic Slovenian herbal tea. It came to me in a resealable kraft paper pouch, I do love it when tea comes in simplistic and clean packaging that still provides me with all the information that I need to know. 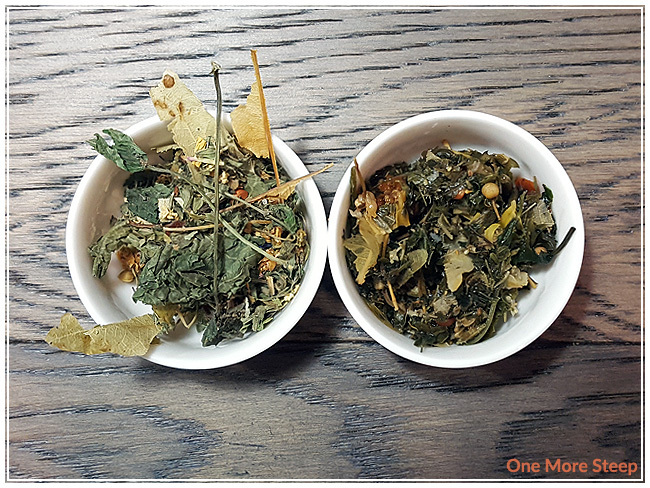 This organic herbal infusion has a beautiful minty aroma to it, but there’s also some floral notes mixed in with it. I like that the mint isn’t completely overwhelming the other ingredients in the dry blend because I like being able to pick out the other ingredients. 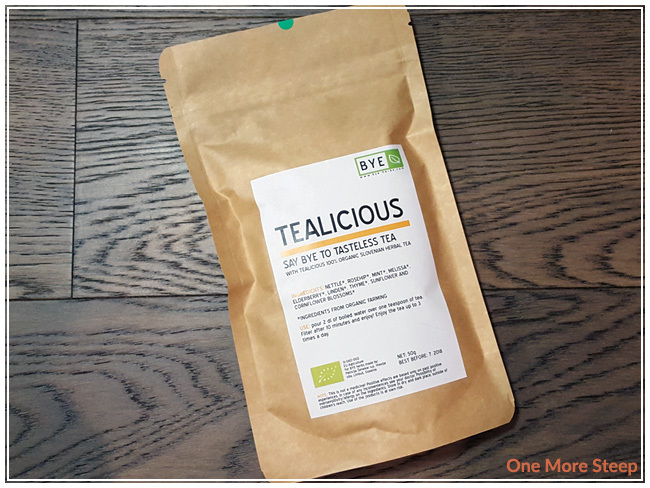 Tealicious consists of: nettle, rosehip, mint, melissa, elderberry, linden, thyme, sunflower and cornflower blossoms and all of the ingredients are from organic farming, as per the packaging. If you’re unfamiliar with the melissa plant, it’s also known as lemon balm in North America. There’s some fine print on the packaging that states that the herbal infusion is not medicinal. Because it is an herbal product, and some medications can have interactions with medications, I would strongly recommend talking to your primary care physician or pharmacist about herbal supplements and drug interactions. Better safe than sorry! Bye Herbs recommends steeping Tealicious in boiling water for 10 minutes, and suggests that you can drink this tea up to three times a day. I steeped Tealicious in 100°C (212°F) water for a full 10 minutes. After the ten minute steep, Tealicious steeps to a very warm golden honey colour. 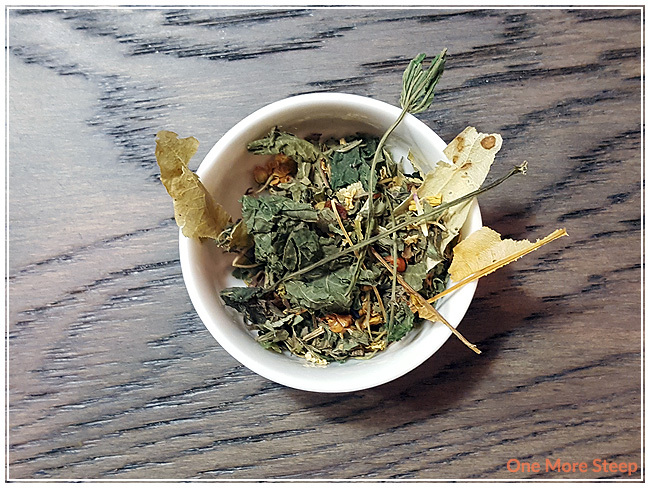 The aroma that wafts up from this tea is primarily minty and floral, I really like that the mint doesn’t overwhelm the other ingredients. On first taste, I primarily get some rose and floral notes, followed by a minty fresh flavour. Tealicious leaves quite the refreshing aftertaste in my mouth after I swallow the herbal infusion, not quite the intensity that you’d find after brushing your teeth, but it’s still pretty noticeable. It’s a pleasant aftertaste, that’s for sure. I attempted to resteep Tealicious and found that it didn’t do so great. 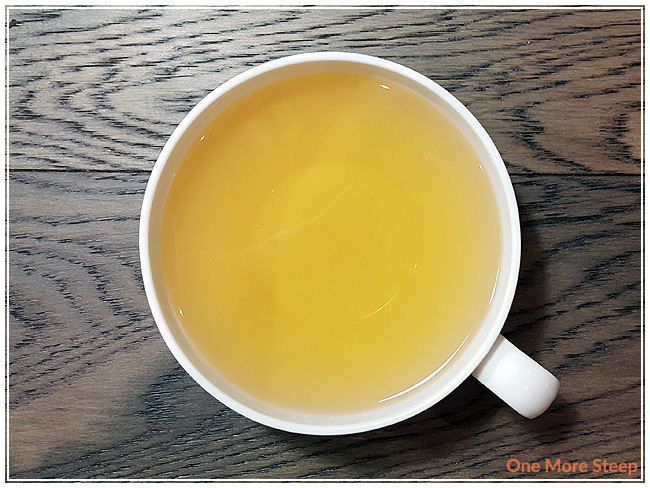 The colour wasn’t as intense as the initial steep, and most of the flavours weren’t as present in the resteep. I think that the 10 minute steep time leeched most of the aromas and flavours from the ingredients and pretty much exhausted the flowers and herbs. I liked Bye Herb’s Tealicious. I found the aroma to be inviting and pleasant, with a nice flavour to it. I really enjoyed the fact that the mint didn’t overpower the other ingredients and that the floral ingredients were able to shine through since mint is often such a strong flavour. I wish some of the floral notes had been a touch stronger, but it was still a nice cup of tisane. That said, I found the refreshing minty aftertaste to this herbal infusion to be quite enjoyable, and made for a nice finish at the end of each sip.